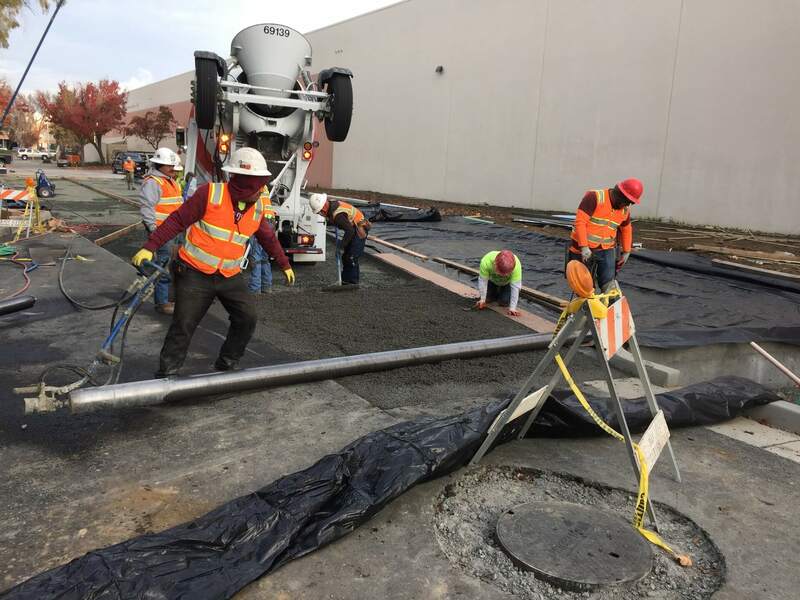 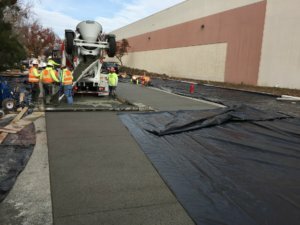 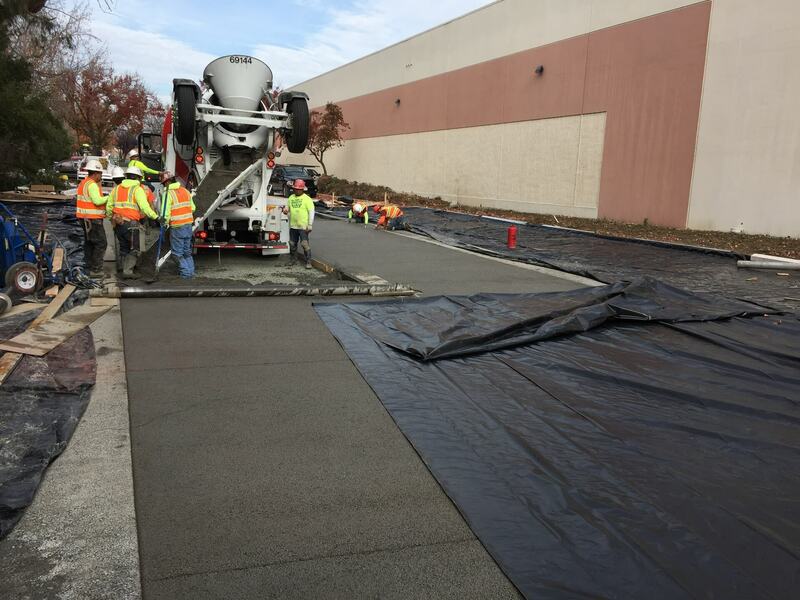 The design for the Jelly Belly Warehouse called for a portion of the parking lot to be pervious concrete instead of HMA. 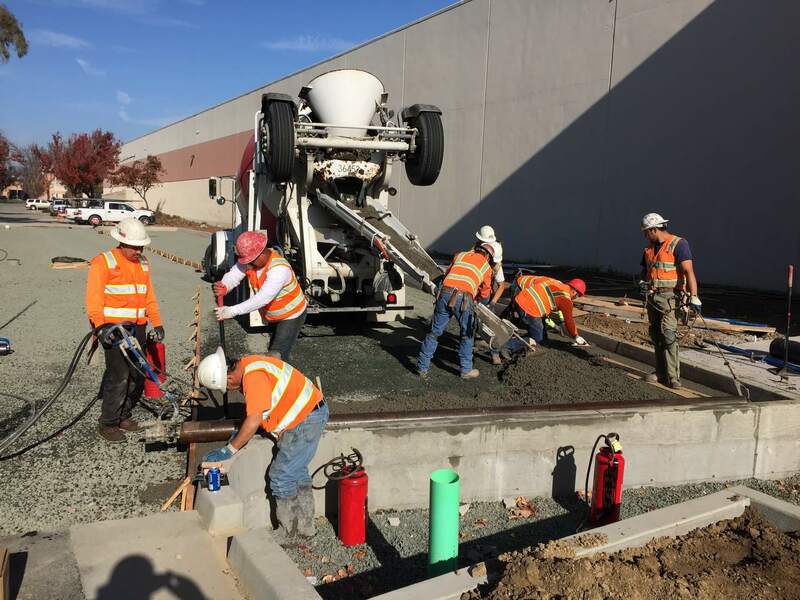 The project required the use of specialized rollers to provide a smooth finish and to cut the joints. 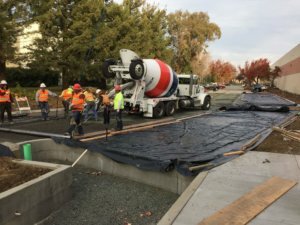 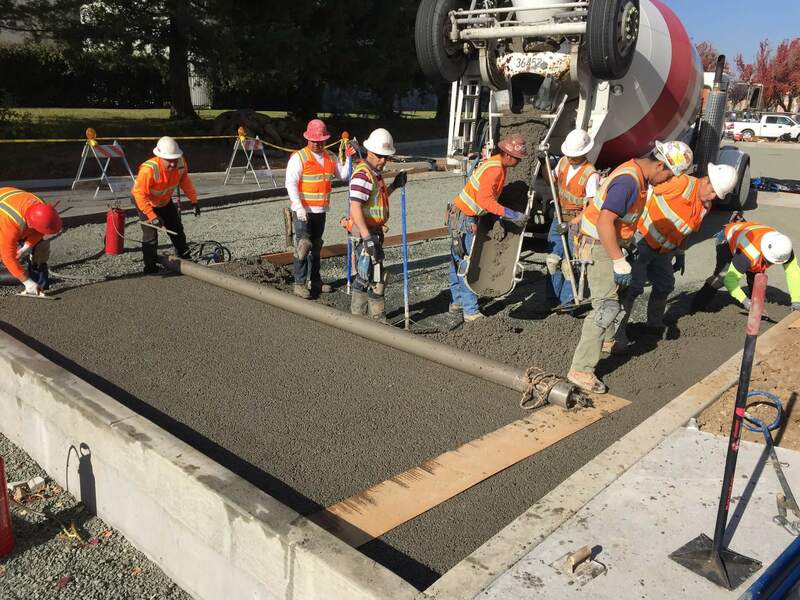 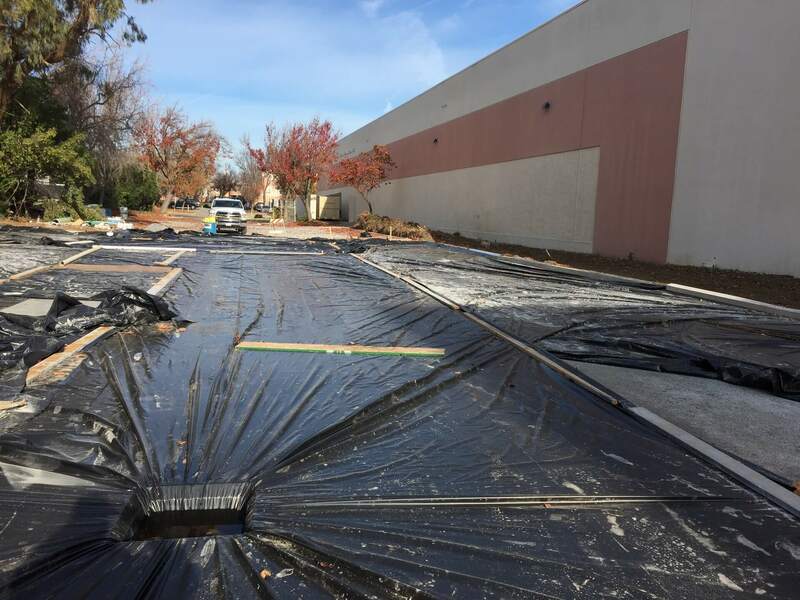 We completed the project in 2 days and approximately 150 cubic yards of concrete was placed. The first day we poured the concrete for the parking stalls and then placed the concrete for the center on the second day. At the end of each shift, the concrete had to be covered with plastic for seven days in order for the concrete to cure correctly.